Responsible Pest Control delivers GUARANTEED Pest Control in Johnson Ranch for scorpions, spiders, roaches, ticks, and general pests! Protect your home and family from pests in Johnson Ranch like: SCORPIONS, Wolf Spiders, Black Widows, Roaches, Ants, Crickets, TERMITES, BED BUGS, Earwigs and desert pests. With OVER 24+ yrs of Pest Control Service, we have the expertise you need to resolve & prevent any pest infestations. Not only do we provide the most complete Pest Control Services in Queen Creek and San Tan Valley AZ, we live here too! We’re a family owned and operated pest control company with Your families best interests at heart. Delivering GUARANTEED pest control with PREMIUM Products and RESPONSIBLE treatment methods for the safety of your family and pets! We live in a mature area that is infested with bark scorpions. We suffered their frequent appearance inside our home. We were told by other pest control companies that they are difficult to impossible to get rid of. In just a few treatments, we were free of scorpions! And all other pests for that matter. They come regularly every other month and anytime we see a pest, we call and they come immediately at no extra charge. This company is reliable, knowledgeable, friendly, and trustworthy. Can’t go wrong with these guys. All Responsible Pest Control technicians are dedicated to providing the most EFFECTIVE scorpion & pest control services with special consideration & RESPONSIBLE methods for Your Family & Pets safety. Providing you with SUPERIOR service at AFFORDABLE prices by: applying the most effective premium products, applying with RESPONSIBLE methods, utilizing our 24+ years of experience, continuing our EDUCATION & training, and paying attention to DETAILS! CLEAN CUT, experienced, and courteous technicians. Premium scorpions and pest control products: highly effective with very low toxicity or odor. We respect your home and wear BOOTIES inside. We SWEEP all spider webs under first story eves. Courtesy calls a day or two before your service. We GUARANTEE all our services. Here at Responsible Pest Control, our customers satisfaction always come first! We want to make you happy by delivering the most effective scorpions and pest control in Johnson Ranch! So in the uncommon situation of a bug invasion between your regular scorpion and pest control services, PLEASE give us a jingle (or text or email) and consider it done! We’ll get you on the schedule for a re-treat right away, at no extra cost to you – GUARANTEED! 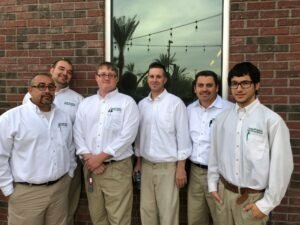 Providing EFFECTIVE Pest Control in Johnson Ranch San Tan Valley, Queen Creek AZ, and surrounding areas.